Liberty Land, stylized "LiBerTy-LanD - La Liberté Sans Limite !" (translation: liberty without limits), was one of France's most popular file-sharing forums. We say this in the past tense because the website was taken down over the weekend, according to the AFP. Liberty Land had been in operation since September 2009 and had over 800,000 members. It provided links (via services such as MegaUpload and RapidShare) to a wide variety of pirated material, including movies, music, software, and video games. Some estimates said the site had 30,000 links to albums and 100,000 links to movies and TV shows. Liberty Land's administrators have since been charged with organized counterfeiting. The three men, aged between 25 and 30, were arrested in Marseille, near Le Havre and in the Paris suburb of Montreuil. They have been released pending trial, and now face five years in prison and a fine of €500,000 ($713,000). The arrests come at the end of a year-long probe after copyright protection groups ALPA and SACEM tracked a Liberty Land contributor to Rennes, France. Jean-Philippe Vidal, chief of the Rennes gendarmerie leading the probe, said investigators succeeded in tracing the operators of the site, who had setup multiple barriers to protect themselves, including a server in Canada. Vidal said the site generated "a lot of money" through advertising but could not confirm a reported figure of €200,000 ($285,000). 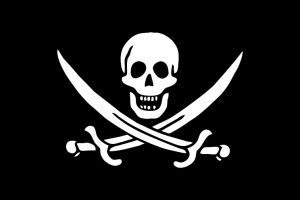 Due to the differences in copyright law around the world, pirates often host their website in different countries, such as Canada, to make their illegal activities harder to bring to court. Nevertheless, these obstacles are usually overcome with time, as shown with Liberty Land.